New software developed by NIOSH is intended to help miners recognize safety and health hazards on job sites. Using the PC-based EXAMiner software, users can perform a virtual workplace examination with the goal of finding as many hazards as possible. The application features a simulated, interactive environment with more than 30 preloaded panoramic photos from a real surface limestone mine. NIOSH consulted with subject matter experts in the industry to verify that these scenes and the hazards featured are true-to-life depictions of what miners might see in a real working environment. Users can also take photos of their own mines using a smartphone or digital camera to upload to EXAMiner. An MSHA final rule published in April 2018 modified a previous agency rule governing how workplace examinations should be conducted in metal and nonmetal mines. The new rule requires examinations to be conducted at least once per shift before work begins or as miners begin work. 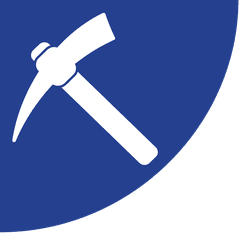 The EXAMiner software is intended to serve as a training tool to help mineworkers practice performing these newly required workplace examinations. The beta release of EXAMiner is available from the NIOSH website.